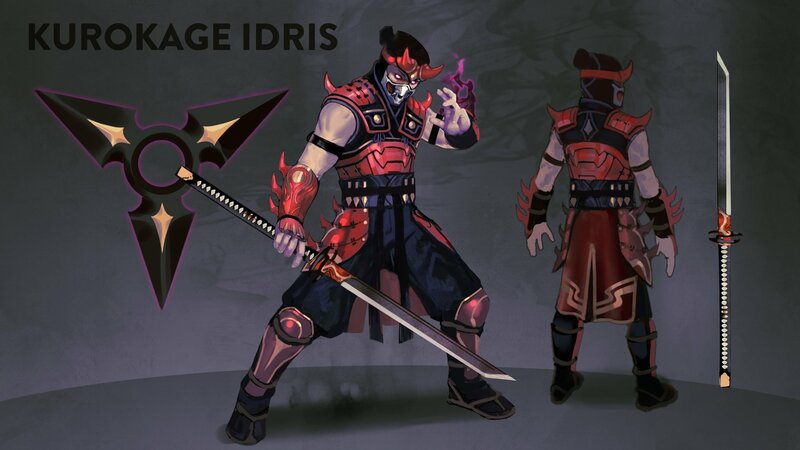 New Skin - Kurokage Idris! A new Idris skin was just announced for 4.2, Kurokage Idris! "Can I kill you before you ever see me coming? Shur-i-ken…"
From the concept art, it looks pretty good, gives me huge Mortal Kombat ninja vibes, which I like. Also, that pun in the announcement was bad, but I honestly would’ve gone for it too. Its nice, better than his neon mess of a halloween skin. Wow, this skin is broken!! Must buy for sure, I’m gonna dream with that. I hope it’s legendary. This is perfection made skin. I don’t care if he is weak, I’m going to spam him. Honestly Idris is really close to be being a really good pick. If he gets some more buffs in in the next patch he could end up being really good. Sooo, we should expect idris buff for 4.2? He is weak right now, so a little bit of love isn’t gonna break him, but this is off topic. Honestly, I don’t care, I will spam it anyways with that skin, even if I have to play bots for that. Not a fan of that… beak-like mouth, its extremely offsetting for me. The concept art showed that it wasnt that far out or protruding. Won’t lie. 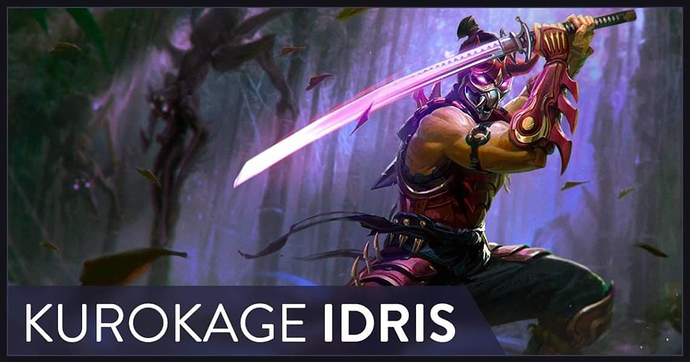 Looks way more like Taka than Idris… Or is that just me? Looks nice and decent but doesn’t beat other concept arts like my queens malane, lyra and lorelai. I agree i don’t like it, but now I wonder what do you think about scorpion from mortal kombat?